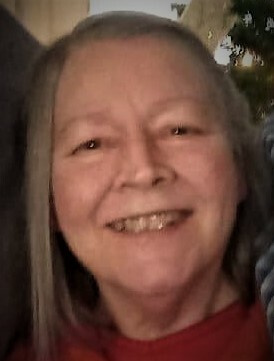 Karen Kay Flournoy, 61, of Decatur, passed away Saturday, March 16, 2019 at her home under Hospice care. She was born September 19, 1957 to Ralph and Anita (Wilkinson) Nelson, Sr. in South Haven. Karen worked building boats at Douglas Marine in Douglas, Michigan and Chris-Craft in Holland. She later worked for the Golden Brown Bakery in South Haven and Doles in Decatur. She enjoyed reading and loved her kids and grandchildren. She is preceded in death along with her parents by siblings – Sue Sternaman, Gary Nelson, and Fred Nelson. Karen is survived by her children – Nicole (Kelly) Steward of Covert, Adi (Clenzie) Kyles of Benton Harbor, and Steven Flournoy of Springfield, Illinois, husband – Harlinda Flournoy of Grand Junction, grandchildren – KeShawn, KeAndre, Kayla (Glen, Sr.), Hendrick, Destiny, and KaTajia, great grandchildren – KaMiyah, and Glen Jr., siblings – Evelyn Dominguez, Linda Best, and Ralph Nelson, Jr., and family friend – Jess Fireline. Visitation will be held from 12:00 PM to 1:00 PM on Tuesday, March 19, 2019 at the Filbrandt Family Funeral Home in South Haven. Memorial services will follow visitation at 1:00 PM with Pastor James Ivey officiating at the funeral home.